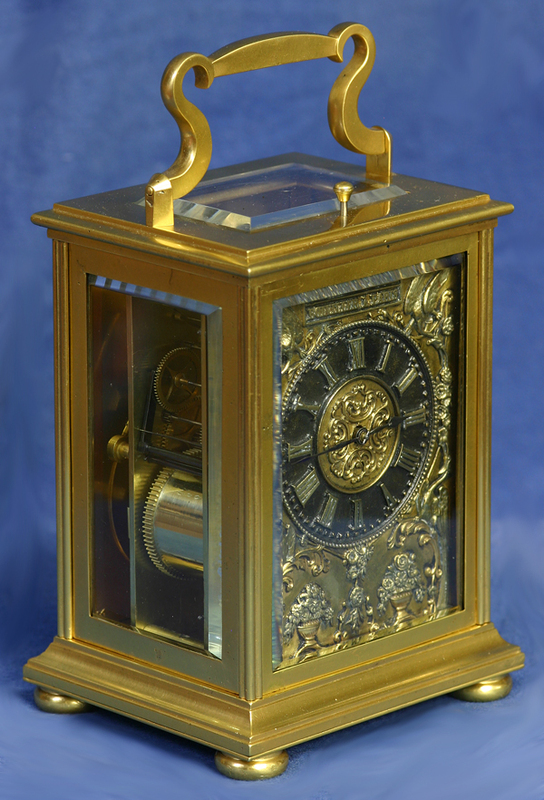 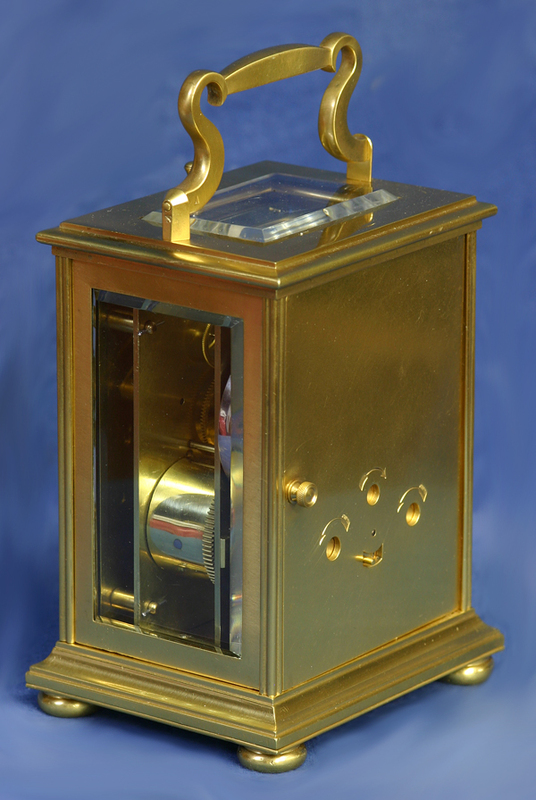 The rectilinear gilt-bronze case has molded edges, a shaped folding handle marked with an ‘A’, bun feet, a shuttered back that is stamped ’45’ on the interior and beveled glasses. 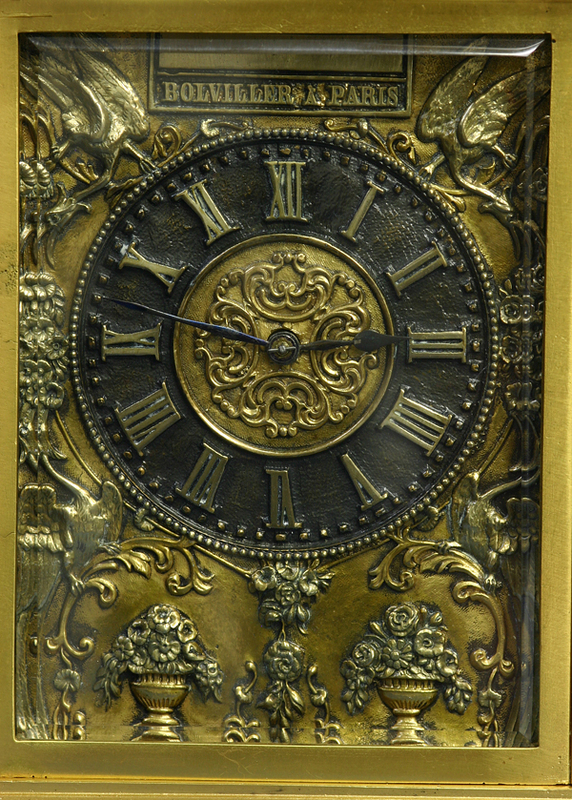 The heavy cast gilt and silvered-bronze dial is decorated with birds and foliage, has Roman numerals for the hours, steel-cut spade hands and carries the maker’s name, ‘Bolviller A Paris’. 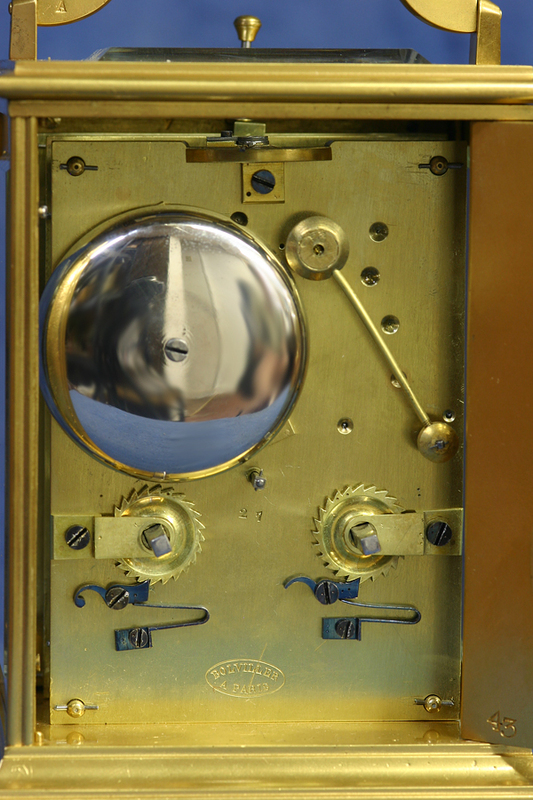 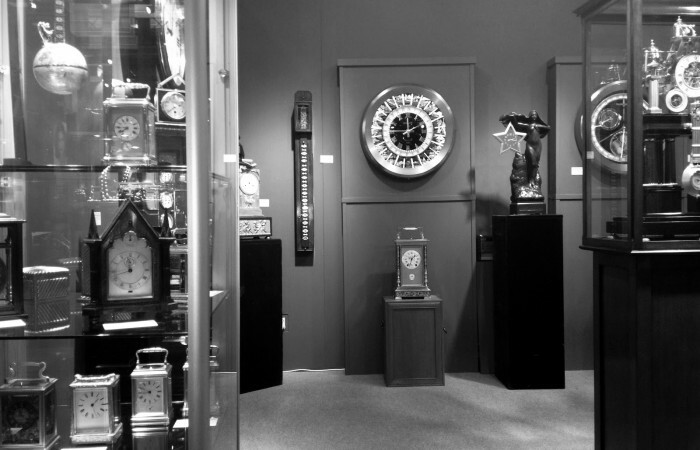 The eight-day time and strike movement strikes on a bell, is wound and set off the backplate and is signed and numbered by the maker, ‘Bolviller A Paris, 27’. 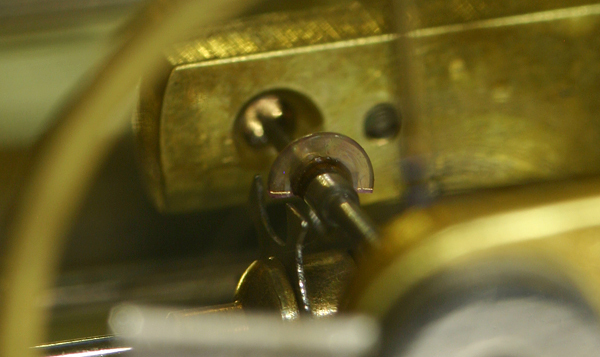 The original chaff cutter escapement has twin steel escape wheels, a ruby pallet, a gold escapewheel with jeweled pivots and an engraved platform. 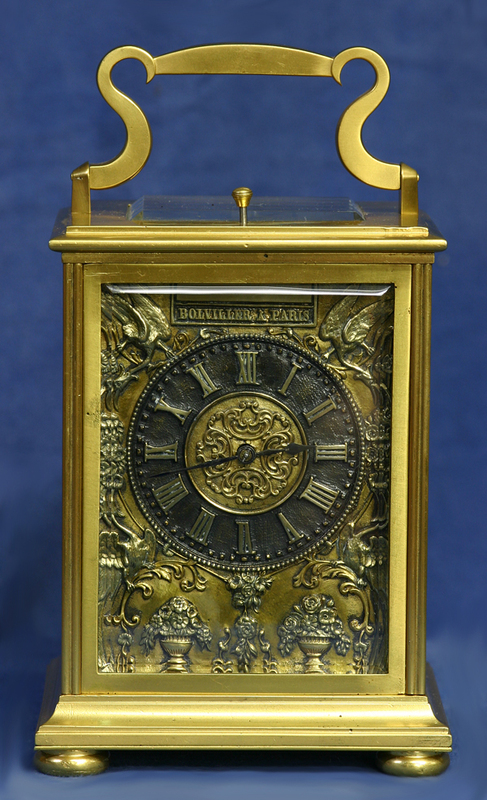 Moise Bolviller is listed as working in Paris from 1830-1870. 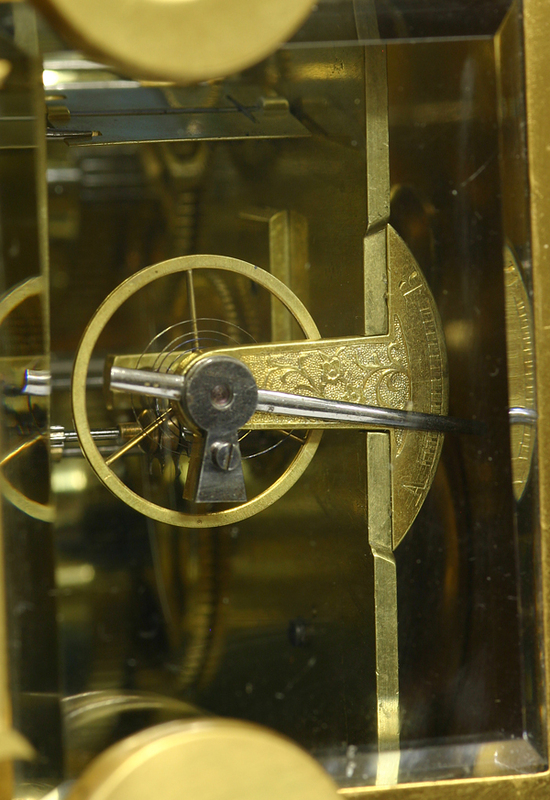 The chaff cutter escapement was first patented by Paul Garnier in 1830 who would supply his high quality movements to be cased by the other renowned Parisian clockmakers.